What a week! I read two gorgeous works of fiction and three graphic novels. Hooray! An international bestseller--the extraordinary memoir of a German-Nigerian woman who learns that her grandfather was the brutal Nazi commandant depicted in "Schindler's List"
I've been thumbing through The Life Changing Magic of Tidying Up by Marie Kondo. I'm feeling inspired and am planning on hosting some sort of clutter busting challenge for book bloggers in the near future. Watch for it! Love the sound of My Sunshine Away! Have a great week. 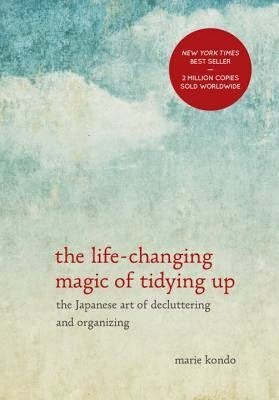 I just finished The Life Changing Magic of Tidying up - it's fantastic! I've always been tidy, and pretty good and throwing things out, but this book took it to a whole new level. I live in a one bedroom apt in Brooklyn, and my space was pretty clean and tidy, but filled to the MAX. My many clothes were jammed into the dresser and closet, no room on my bookcases for new books, and I couldn't store the camping equipment that I bought this year. This book helped me purge so many things and think about what to keep in a whole new way - I'm about 2/3 of the way through purging and organizing my apartment, and it has really been life changing so far. Helping me think about possessions in a new way, and I've been buying so much less. I hope you enjoy it as much as I did, looking forward to hearing your thoughts! I finished My Sunshine Away on Saturday and absolutely loved it! It's my favorite book of the year so far and I imagine will hold up to make my Best Books of 2015 list in December. Such gorgeous writing, and like we talked about, nostalgia for being a late 80's/early 90's teenager. I want to read both of the novels you finished last week! I really want to read MY SUNSHINE AWAY. And I like decluttering book that you mentioned. Oh I'd totally be up for the book blogger declutter challenge. I'm doing the 52 Weeks to an Organized Home challenge. I'm working in the kitchen but at least it's getting done....finally! I finished One Hundred Years of Solitude this weekend. I'm working through Tolstoy and the Purple Chair by Nina Sankovitch and What We See When We Read by Peter Mendelsund. Longbourn by Jo Baker arrived to my house Friday and it was hard, but I wouldn't let myself start it until I finished all my other in-progress books. Can't wait for your clutter busting challenge! I have the Marie Kondo book. I actually gave it to Holly to see if she could use some of the techniques since she is my little pack rat. I really need to get that from her and see what I can adopt. I loved Drama, still need to read Smile! My Grandfather Would Have Shot Me sounds fascinating. The clutter busting challenge sounds brilliant, I think I could do with that. Happy reading! You did have a heck of a week! I'm taking myself to lunch shortly, and there will be quality All the Light We Cannot See reading. 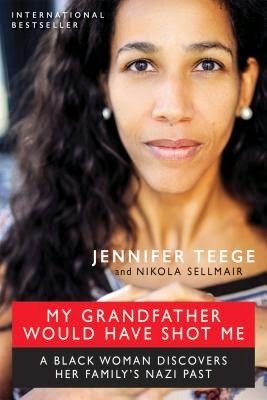 My Grandfather Would've Shot Me looks interesting! Wow. All great looking reads! Really like the sound of My Sunshine Away and I bet My Grandfather Would've Shot Me is interesting. Hope you have a good reading week! I picked up My Sunshine Away at BEA, and I'm hoping to read it soon, too! 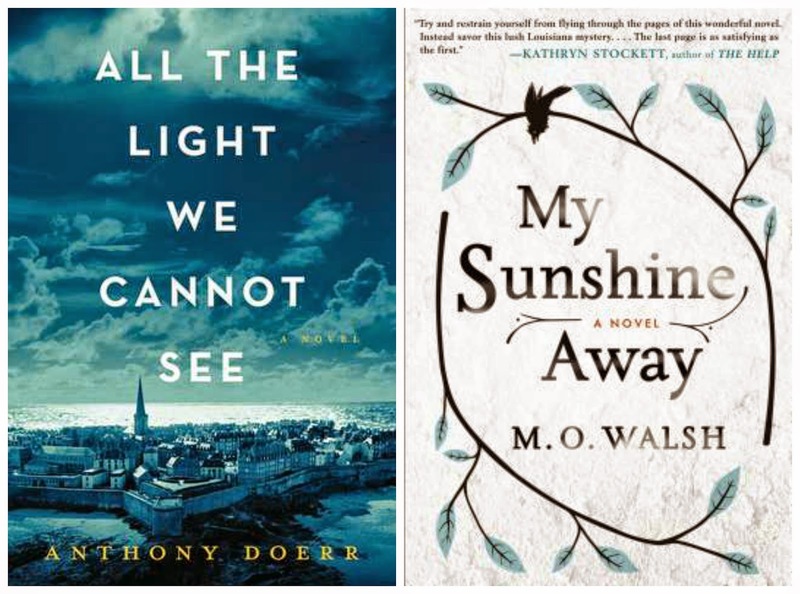 My Sunshine Away is on my TBR. Hope you have an awesome week of reading! Wow. My Grandfather Would Have Shot Me sounds powerful. For those of us who know about our ancestry, it's hard to imagine the shock of discovering the truth about your family. Smile and Drama have such cute covers, don't you think? A good week indeed! I'm intrigued by the book on decluttering (clutter is a huge problem for me), but at the same time, knowing about the minimalism of Japanese life, I'm not at all sure I could pare down that much. Especially when it comes to my books, because I'm a frequent rereader. So I'll be interested to see your challenge, if you do one. I can't wait to start My Grandfather! It might have to be moved up the list! Your current read sounds really interesting! I'm going to check out the Kondo book. Let us know your thoughts on it!